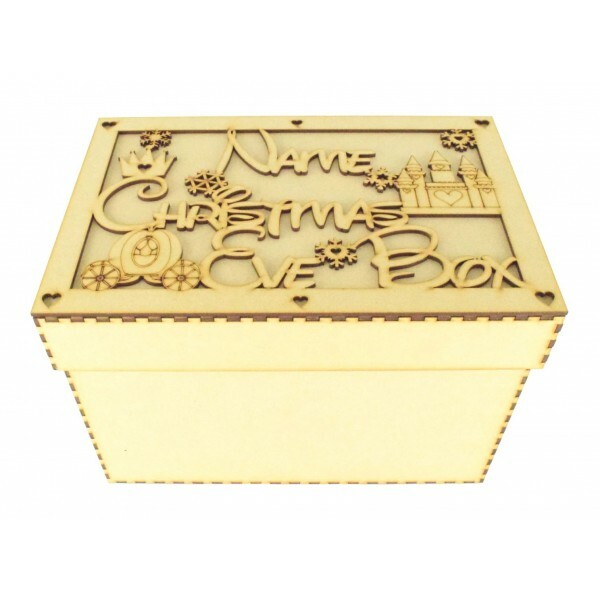 Perfect size to use as Childrens Christmas eve Boxes, Fill with all their 'Night before Christmas' Goodies and treats. Great to use year after year. Perfect for any home with children as it is truly the most magical time of the year. A must have sign for Christmas eve! Please select if you would just like to buy the Frame Top only or The Frame Top with the Box, if you would like a box please select the size box needed as there are 2 size options. The design comes flat pack in 10 seperate pieces which you will need to glue together to secure in place. We recommend using Wood Glue.